In the past week the phone has been ringing off the hook with questions concerning alfalfa heaving, winter kill, or winter induced injury. This has occurred throughout the Midwest and is as far reaching as Iowa and Missouri. Seed treatments are not the same as seed coatings; understanding the distinction is important. An alfalfa seed treatment generally consists of an inoculant with a specific strain of rhizobium bacteria for alfalfa, along with a base fungicide to manage early-season soil diseases. An area DSM was out scouting fields a few weeks back and found some significant problems with Aphanomyces Race 2. He was in the Dubuque, Iowa area, which is known to be a hot-bed for APH2. There were several areas in the field that were not as tall or vigorous. He realized right away that it was likely an issue with APH2, so he dug up plants to see what was going on beneath the plant (APH2 is a soilborne fungus). How can we take alfalfa stands to the next level, and truly micromanage the crop to surpass yield and quality goals. We hear about intense, highly-controlled, strategic management in corn, soybean, wheat and other crops – but what about alfalfa? The benefits of the Roundup Ready® system have been highly touted in alfalfa production. This field proved out all of the benefits. Pictured from left to right: Greg Downing, CISCO Seeds Agronomist; Samuel Yoder; Mike Wilson, CISCO Seeds Territory Sales Manager; Elmer Yoder; and Henry Yoder. The 2013 winner is S & Y Dairy of Guthrie, KY. They scored their victory in the Dairy Hay category with their seventh cutting of WL 353LH. Balage, bale silage, or giant marshmallows have become an alternative harvest practice on many Indiana forage farms. It has become a great tool in the hay making arsenal to help prevent hay from becoming rain damaged. 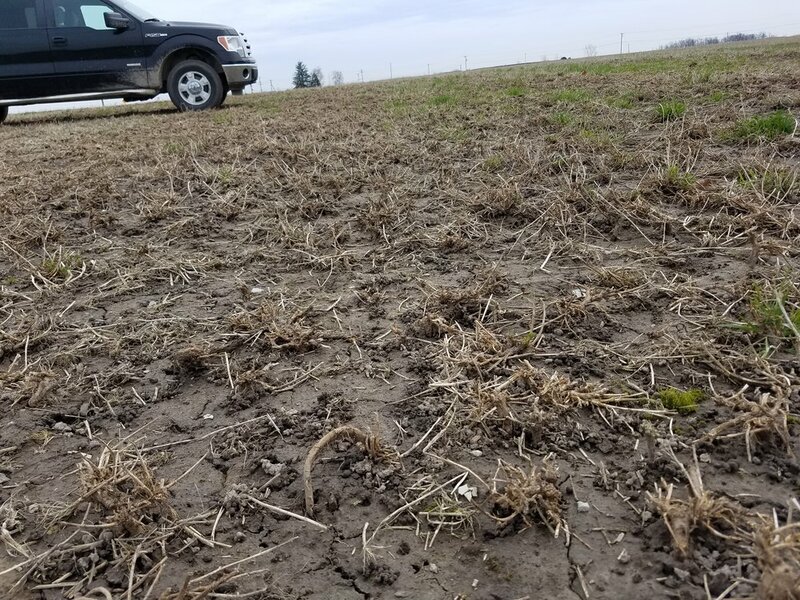 Dr. Johnson, Purdue University Forage Extension Specialist, and Jason Tower, Southern Indiana-Purdue Agricultural Center Superintendent, have given several presentations on balage and the benefits of it. In this article I would like to expand on their ideas and discuss what we have learned on our farm. Look closely at the middle of the picture to see the alfalfa weevil larvae. If you've been out scouting your alfalfa fields, you may have noticed some alfalfa weevil damage.